We’ve brought back this old favorite with a fresh new look! 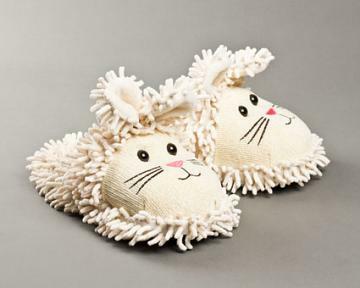 Put a bounce in your step with these adorable Bunny Spa Sandals. 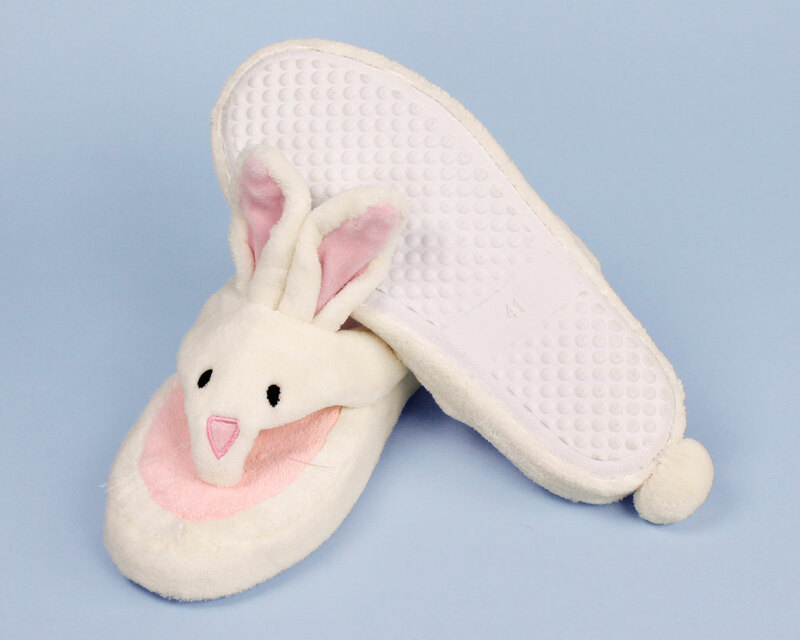 With fully cushioned footbeds, these slippers provide the ultimate luxury, and the flip flop design makes them a perfect slipper for warmer weather. The ears are fully posable, so you can customize the look. 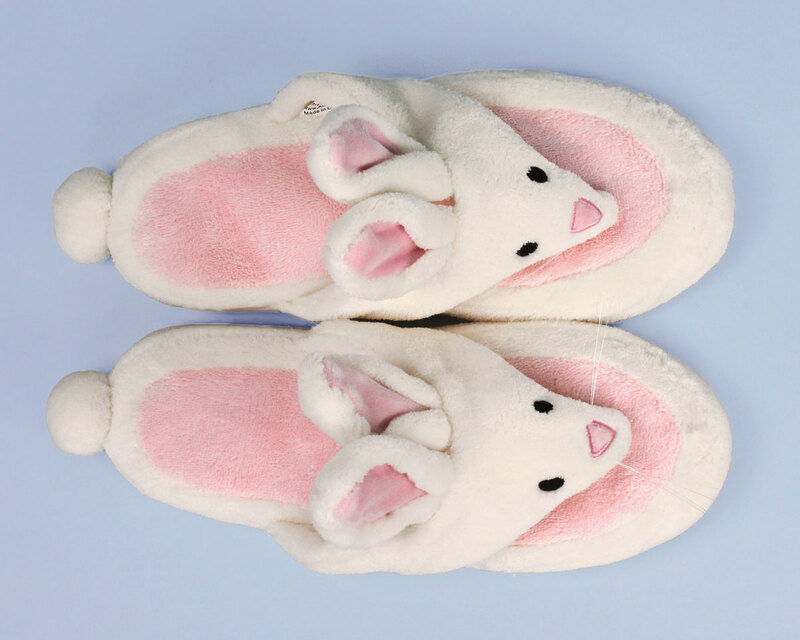 Made with soft pink terry footbeds, embroidered details, whiskers, molded non-slip soles, and cotton ball tails. Please bring these back. These are my favorite slippers in the whole word. Yes, I'm 45 absolutely love these, usually get 2 pair a year (that's how much I wear them). I miss them so and I am going to have to retire my final pair. Advantages: Most comfortable flip flops ever! Live in Alabama so they work all year round. I love these!!!! Comfy and soooooooo adorable! Disadvantages: Spot clean only. Oh well. I purchased two pairs for gifts. Both recipients absolutely love them! One commented that she can't wait to slip them on first thing in the morning. Advantages: Super soft and comfy. Makes you want to get your nails done to show them off! Disadvantages: Easy to get dirty. 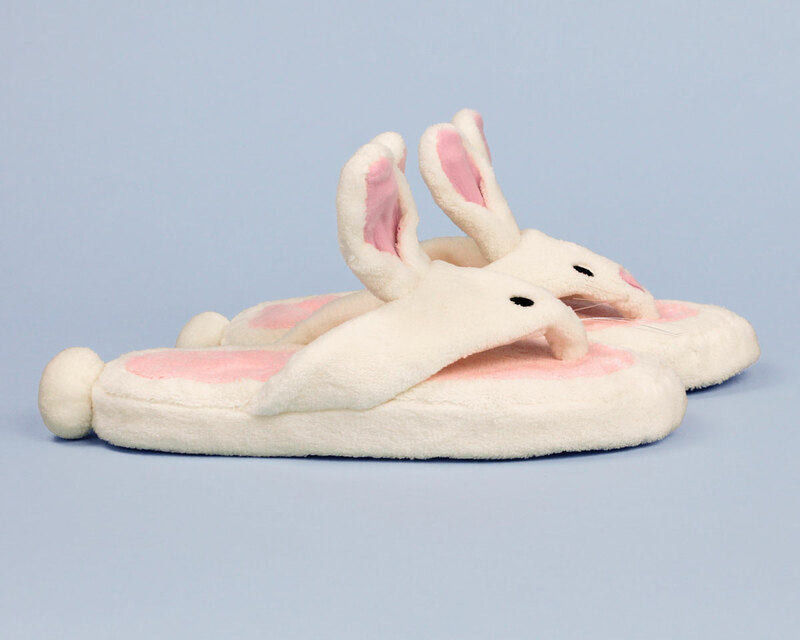 Best slippers ever!!! So comfy! I love slipping into them at night all times of the year! 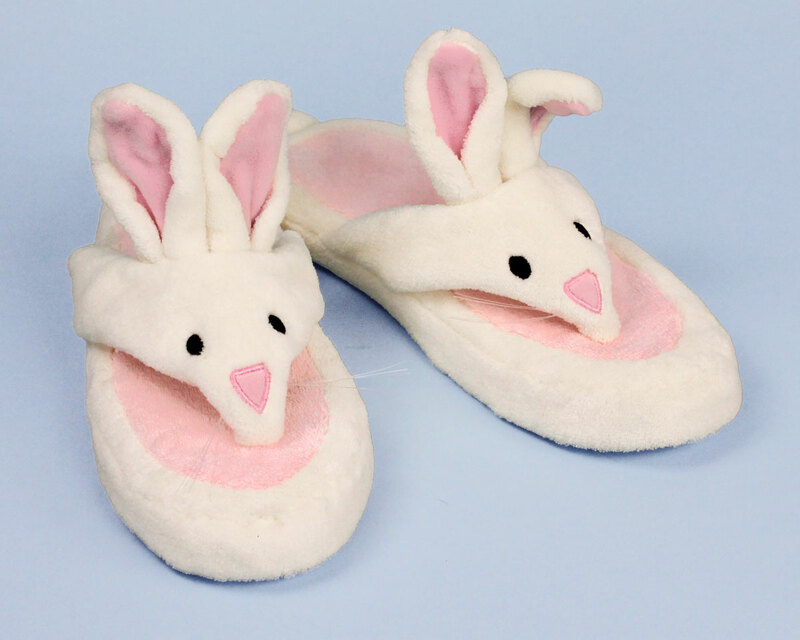 Advantages: So comfortable & extremely cute! My friends love them as gifts! Service was excellent and the slippers were delivered in a timely fashion. My goddaughter luved the slippers. LOVE these comfy slippers! So cute!